If you are looking for a Kansas City based SEO and digital marketing company, look no further than Kansas City SEO. They can help you build a website using WordPress, optimize it for search engines, and market it on social media as well as through other avenues. Specializes in SEO, Pay Per Click, Web Design, Social Media Marketing. 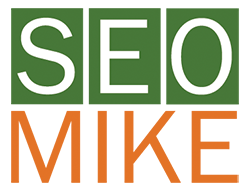 SEO Mike is one of Kansas city’s top digital marketing agencies. And with 21 years of experience and hundreds of satisfied clients, they can take your business to the next level. Let them help you with all of your SEO, web design, and PPC needs. Kansas City SEO group has a team of experienced professionals who can help you with your digital marketing needs. Whether you need increased exposure, more conversions, or even better ideas with regard to your Facebook, YouTube, or Amazon marketing, Kansas City SEO group is there for you. Kansas City Web Design & SEO has been one of the top web designers in Kansas City since 2005. They focus on building custom, search engine optimized, conversion generating website. So, whether you’re just starting out or already have a site, they can help you. If you are looking to increase traffic and exposure over the long term, search engine optimization is an absolute must. Webworks of Kansas City will help you get your site up and running, get it optimized, and leave you with a plan for future digital marketing. KC Web Specialists focuses on building in maintaining websites that are responsive and optimized for most search engines. If you’re looking for someone in the Kansas City area who can help take your business’s web page to the next level, look no further than KC Web Specialists. Residual rank is a Wichita based digital marketing agency that focuses on SEO and PPC. They provide real results and have a number of examples and testimonies on their website. Everything is done in house and locally, which means no automation or generic work. If you are looking for a Wichita base web design and digital marketing company, Balefire may be just the solution for you. They do everything from web design and SEO to digital and email marketing. And with quality analytics and reporting, they will let you know exactly how they are helping you achieve your business goals. Ritek media focuses on helping companies in the Wichita area achieve greater success and increased brand awareness through SEO, social media marketing, web design, and paid advertising. They have a track record of delivering genuine results. You can check out some of their clients by visiting their website. If you want your businesses website to be ranked high so that more potential customers can see it, you need a high quality SEO agency. Spot one marketing helps you rank higher by making sure that your site is mobile friendly , has a positive reputation, and includes quality content.